FacilitiesThe well built and spacious rooms and lobby at Hotel Jamnagar Residency are sure to catch the eye of its guests. The rooms are tastefully designed with modern furniture and beautiful paintings. The hotel is a safe place to stay as CCTV cameras are installed in its premises. 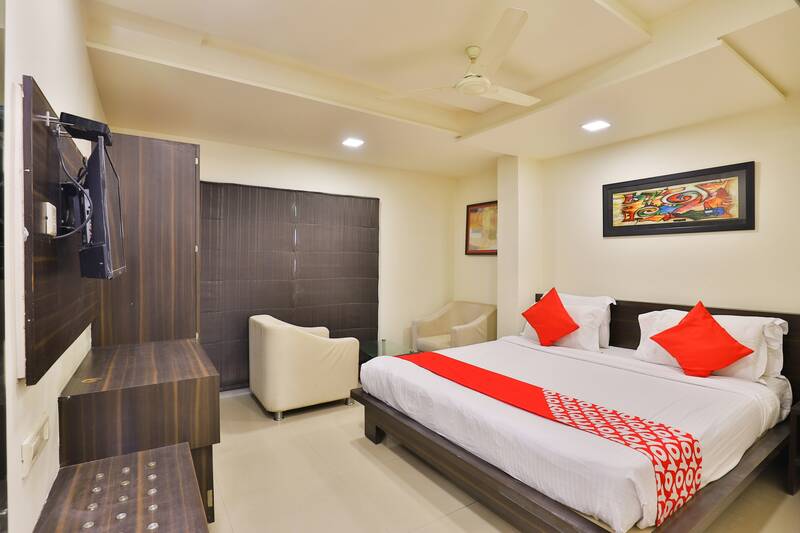 The hotel offers all basic amenities including laundry, mini fridge, free Wi-Fi, parking space and a dining area. Situated right next to Lakhota Lake, it is about time you forget all your worries and relish the free flowing breeze and beauty of the lake. Once you're done with the lake, enjoy a cool and refreshing drink at Ramjibhai Sarbatwala. With a number of eating joints close by like Tavaa Restaurant and Bharat, you'd better get a load of that delicious Gujrati Cuisine.